Well-known psychologist and author Houston begins this highly adventurous book with a poetic retelling of the Egyptian myth of nature goddess Isis and her brother and husband, Osiris, the legendary ruler and god of the underworld. She then chronicles the cult of worship of Isis and Osiris, a chief religion of the Roman Empire until around A.D. 400. Mining archetypal spirituality in the manner of Joseph Campbell, Houston sifts ancient Egyptian myths for their contemporary relevance as keys to personal transformation. Finding love amid sorrow, accepting loss and death, reconciling body and soul are among the lessons she gleans from the Isis/Osiris legend, to be achieved by “entering an Egyptian state of mind, allowing for the simultaneous existence and experience of all things in motion.” To that end, she sets forth self-help exercises, including journal-keeping, dreamwork, creating sentences in hieroglyphics, body movement, meditation and sailing with Osiris into the underworld. 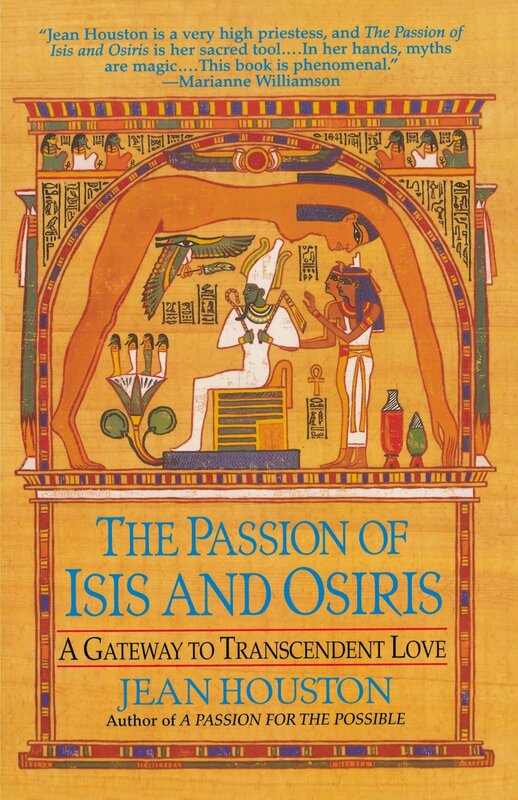 In The Passion of Isis and Osiris, Jean Houston, internationally renowned philosopher, psychologist, and explorer of world myth, takes us deep into the mysteries of Egypt, land of the ancient soul within us all. Houston brings this world to wonderful life, showing how the myth of Isis and Osiris gives modern readers a design for the marriage of body and soul, life and death, the tangible and the hidden. In detailed exercises and dramatic enactments that can be done in groups or alone, she demonstrates how we can identify the Isis and Osiris that are seeking reunion in each of us. 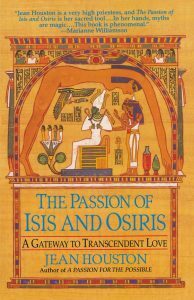 The Passion of Isis and Osiris re-creates nothing less than a moment of Egyptian magic that allows us to enter a consciousness that is the gateway to transcendent love. This story of two spiritual soulmates still has resonance for us today, whether we are seeking to join the disparate parts of self or searching for a mate to bond with, soul to soul.